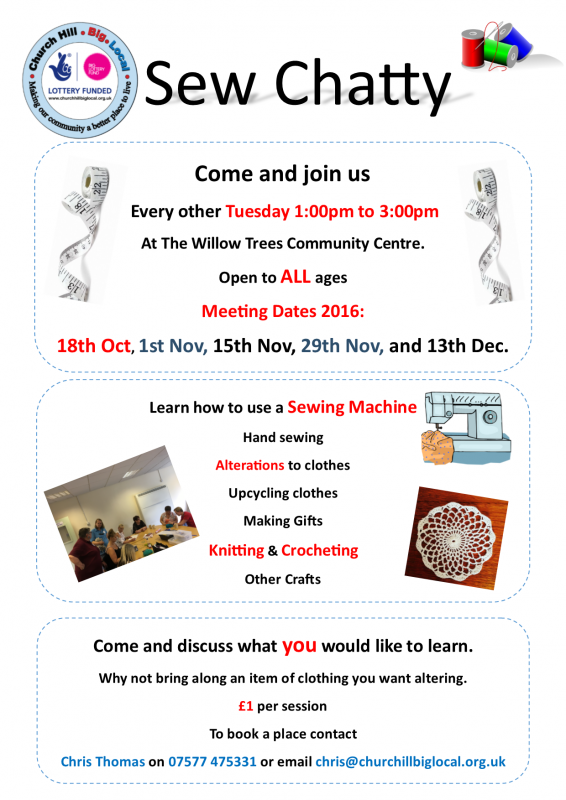 A new Sew Chatty craft group that is open to ALL ages will be launching at Willow Trees Community Centre on Tuesday 6th September open from 1:00pm until 3:00pm. We will be meeting every other Tuesday, same time, same place. 20th Sept, 4th Oct, 18th Oct, 1st Nov, 15th Nov, 29th Nov, and 13th Dec.
Come and discuss what you would like to learn. Why not bring along an item of clothing you want altering.